There has never been an Egyptian Singer who is loved by so many generations for so many years like the legendary Mohamed Mounir! He’s literally the most authentic artist you’ll ever come across, making it very understandable as to why he has an insane amount of dedicated and passionate fans. Mounir fans have been waiting for the release of his new album, Watan, and it’s finally happening! It has been announced that El King’s album launch concert is taking place on the 1st of March, and everyone is super excited! The concert is set to take place at Family Park, one of the biggest and coolest venues in New Cairo. It’s near the entrance of Rehab 2 by the Suez Road. Tickets are to be sold on Ticketsmarche; the regular tickets are for EGP 200 and the VIP tickets are for EGP 500. The larger than life event is by TRI Motion, a promising new event planning agency. They announced on the event page that more details will be released soon for the long-anticipated day! 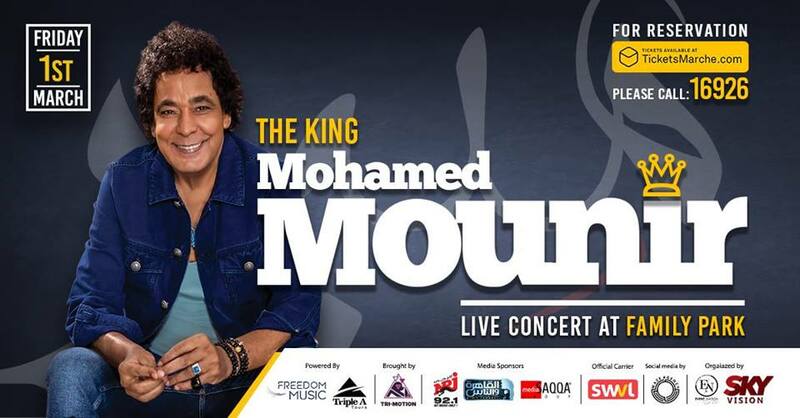 To get you hyped for the concert, here are some of our favorite Mounir tracks! WE SAID THIS: See you at the Family Park!